By Peter Anderson 18 Comments - The content of this website often contains affiliate links and I may be compensated if you buy through those links (at no cost to you!). Learn more about how we make money. Last edited February 9, 2019 . Reading as a hobby, however, can tend to get quite expensive especially if you are constantly buying books from Amazon, Barnes and Noble or even from a local used book store. One book leads to a second, and pretty soon you've bought the trilogy. There are ways that you can make reading a much less expensive past-time. Getting books from your local library, buying books online at a steep discount and borrowing books from friends are all decent options that all have their pros and cons. As technology changes, so do a lot of the things we've taken for granted for so long – including even reading. In 2004 Sony released the first e-book reader with an electronic paper or e-ink display. E-ink displays are designed to mimic the look of ordinary ink on paper, reflecting light instead of giving it off like traditional backlit displays. It is easier to read in sunlight, and because the image is stable, it doesn't require a constant refresh like other screens. Many, including myself, believe it gives a more pleasant reading experience versus a backlit display that can tend to be harsh and hard to read in sunlight. For some time I've been interested in the e-readers like the Amazon Kindle and Barnes and Noble Nook that use the e-ink technology. I decided to wait around for a few years, however, in order to let the technology mature a bit. I also wanted to make sure that the formats were standardized a bit, and that the prices would come down on the readers. After holding off on buying an e-reader for several years, I took the leap and purchased the Amazon Kindle Keyboard. I have also won a Kindle Fire and a Nexus 7 tablet in blog contests, and love them so far as well (although I still prefer e-ink for reading)! While I realize buying a Kindle isn't cheaper than just getting all my books at the library, there are ways to find a ton of free reading material for your Kindle (or other e-reader device). Plus, if you want to go cheap you can get a Kindle for as little as $69! Here's a quick rundown of some sources off free reading material that have made the Kindle that much more affordable for me. 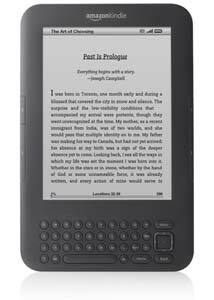 While some of the other e-readers – notably the Nook, allowed you to borrow books that other users had purchased, up until recently Amazon didn't allow this. Amazon has now instituted a book lending program for users of the Kindle where you can lend out books that publishers have allowed lending privileges for. Some newer titles won't allow lending. BookLending.com: The site has a nice layout as well, although for whatever reason I haven't been able to borrow from any of their users yet. Amazon Prime Lending Library: Amazon Prime users will also be able to borrow books. 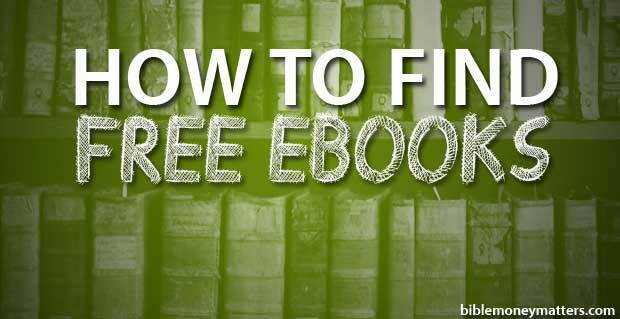 There are quite a few sources for getting free books for your Kindle, or other e-reader. It should be noted that some of the sources will show you the same public domain titles as you've seen on other sites, while some will show more newer titles or original books. Amazon.com Top Free E-books: If you go to Amazon you can find a ton of free e-books. My favorite place to find them is via the “most popular content” page linked where you'll see the top free and paid e-books. Amazon also has a ton of free books in the public domain. You can find them here: Amazon free public domain e-books. Nook Free E-books: Tons of free e-books from Barnes and Noble – and their Nook reader as well. Kobo Free E-books: Kobo as well! FeedBooks.com: Feed Books includes new and public domain content. FreeKindleBooks.org: Another way to get free public domain books, although most are the same as found on Project Gutenberg. 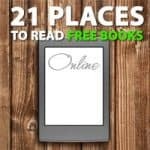 ManyBooks.net: More than 29,000 eBooks for free that you can download for use on Kindle. Many the same as found on Project Gutenberg. Surf directly to http://mnybks.net on Kindle. eReaderIQ.com: Offers a regularly updated list of all non-public domain freebies on Amazon.com, as well as giving emailed updates when new free titles are added, kindle versions of books you want are added, or prices drop on a book you were going to buy anyway. Great site. Baen.com Library: Free Science Fiction e-books for sci-fi fans. A lot of local libraries allow you to check out e-books. Unfortunately sometimes the formats are not compatible with Kindle (depending on the library). Amazon recently started offering native support for library lending, probably because many of their competion were already offering this. I've been using it with my local county library since it started earlier this year, and it works great! I just go to the library's website, choose the book I want to check out, then download the Kindle version via Amazon. It's then good for a 2 week lending period, at which time it expires. Easy! Details about library lending for Kindle/Amazon can be found here: Library Lending. Here are some software that you can use to find Library books to download both for Kindle and other devices. Overdrive Media Console: Libary eBooks, audiobooks, music, & video. The software can be used on your desktop computer, as well as having versions available for iPhone, iPad, Android phones and more. 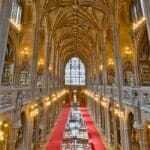 Their search will also allow you to search libraries for copies of books in formats that can be converted for Kindle. Calibre Ebook Management Software: This software will allow you to manage your e-library, and allows you to convert files to a format that works on Kindle before uploading it. Another great feature of the software is that it can automatically fetch news from websites or RSS feeds, format the news into a ebook and upload it to your e-reader. Sweet way to get your daily newspaper, on your e-reader! Another thing I like about the Kindle is that it handles .pdf format documents out of the box. I've downloaded a ton of .pdf ebooks over the past couple of years, and now I'm able to open and read them on the Kindle. Before a lot of them were sitting un-read in a folder on my hard drive. Put all those ebooks to use and download them to your device! As you can see from the list above there is no shortage of reading material for owners of the Kindle, or other e-reader devices. While you won't always find a lot of new releases or best sellers, you'll definitely discover a lot of good books you might never have thought to read before. You might also re-discover some of the classics since a lot of them are now public domain. Plus if you sign up for some of the sites or forums above you can also track new release free books that may only be free on Kindle for a limited time as a promotion. I think the e-reader devices have definitely matured are now ready for prime-time. While the initial cost of the e-reader is definitely higher than buying physical books, over the long run you can still find plenty of frugal or affordable reading options, and ebook versions of books are often cheaper. For me I'm finding that the Kindle is a great way for me to enjoy one of my favorite past-times, reading. Do you own an e-reader? What do you think of yours – and where do you go to find free or cheaper reading material? Join the discussion in the comments! Good stuff. I bought a Nook a few weeks back. I haven’t really used it yet but hopefully I will integrate it more and more into my reading habits over the summer. As I do that, I’ll be checking back with this article as it has some good resources. Thanks. Yeah, i think a lot of these resources work great for any e-reader. Lots of good stuff out there to read. I currently have about 10 books in queue to read, and more to come I’m sure. I’m also loving how that software Calibre mentioned above is able to fetch RSS from news sites and the like – and add them as a “daily ebook”. 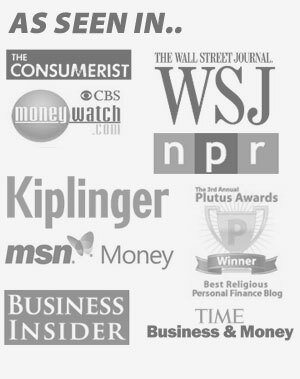 Great job on covering the free sources for Kindle! It’s worth pointing out to non-Kindle owners that they can read all these free books on a PC, Mac, iPod, iPad, or smartphone, thanks to all the Kindle reading apps available. Gutenberg – all of whose books should be available in Kindle form – has a mobile friendly URL: http://m.gutenberg.org – you can go directly with your Kindle to download books (works for cell phones and other devices, too!). Manybooks.net ALSO has a mobile page: http://mnybks.net/ – much easier to navigate on cellphones and the Kindle. I read for free and on the go with my smartphone or netbook and the free Kindle software. I already have about 35 books in my queue and have never paid a dime. I check out books on CD from my local library then upload them to my iPod for roadtrips or long bus rides. Works pretty well for me. Plus, it’s free! @Jenna: I love to listen to audiobooks on my Kindle, especially when travelling. Does anyone know how I would put an audiobook (say, from the library) onto my Kindle so I don’t have to pay Audible all the time? I would think you would just have to rip it to MP3, and then put it in the “audiobook” folder on your Kindle? There is some indication in this forum that this is possible? I haven’t tried that myself so can’t say for sure. Yes, if you put an mp3 in the “audible” directory it will be treated as an audiobook – it will start/stop with a control that “remembers” your place – pretty much like an Audible book. It is a bit harder to adjust your place than with an Audible book if you accidently reset. Note too, that if you listen to an audiobook, your screen saver will lock the Kindle if you have password protected the Kindle (AND you should if you do email/facebook/twitter on your Kindle). The screen saver/lock screen will NOT engage when listening to a book with text-to-speech. Peter, excellent post! Indeed, as an e-reader Kindle wins over Nook hands down! May I mention free Christian books offered at our web-store – store.osnova.com? We are Christian publishers of Kindle books (mostly, Bibles and Bible study materials), known as OSNOVA. We offer a free SBL Greek New Testament as well as some works of Christian authors. I just bought an HP Touchpad and it has a Kindle reader on it. I definitely will be referencing this post often. I’ve heard some decent things about the touchpad.. I’ll be interested to hear how you like it. Thanks for the article and thanks to the informative comments. I will pass this along to Mom who has a Kindle. Unfortunately, I have a Kobo and many of these Kindle-centric resources cannot be used. Sigh. BTW. does anyone know where (or to whom) I can donate old reader technology? Local schools here (GA) cannot accept items. Actually I think many of these resources will work for Kobo as well. I only made it Kindle centric because that’s what I have – but most of them excluding the Kindle lending library can be used by other e-reader owners as well. If you are looking for free kindle books for download visit http://kindlebooksonline.org. There are loads of old and new ebooks available for download. If you are looking for free kindle books to download you can get them at http://kindlebooksonline.org ! Try http://www.digilibraries.com – free ebooks source. Over 28000 free eBooks.